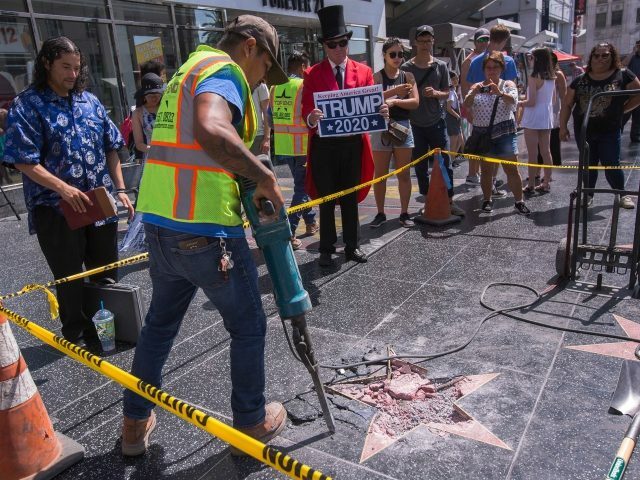 Los Angeles Police Department spokesperson Mike Lopez said Jose Ortega, 29, was arrested on suspicion of felony vandalism after the president’s star was spray-painted with swastikas. According to Lopez, an unnamed witness spotted Ortega tagging the star on Sunday afternoon and immediately notified police. Authorities found Ortega at the 6500 block of Hollywood Boulevard, where he was taken into custody. Shortly after, the spray-paint was removed from the star. 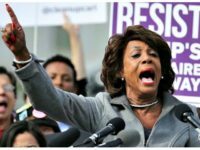 Los Angeles County jail records show the suspect is being held on bail of at least $20, 000, the Los Angeles Times reports. Of course, the alleged incident is not the first time President Trump’s Hollywood star has been defaced. Glendale resident Austin Clay pleaded no contest in February after being charged with felony vandalism for destroying the accolade with a pickaxe, spending one day in jail and ordered to three years of probation. He was also ordered to pay a $9,400 fine and serve 20 days of community service. In October 2016, Los Angeles man James Otis was filmed smashing the star with a pick-ax in an early morning attack. Otis made a plea deal with prosecutors, allowing him to avoid prison time in exchange for doling out over $4,000 to the Hollywood Historic Trust and Hollywood Chamber of Commerce. Following the vote, Los Angeles Mayor Eric Garcetti came out against the proposal, telling TMZ that there are more important issues to tackle.